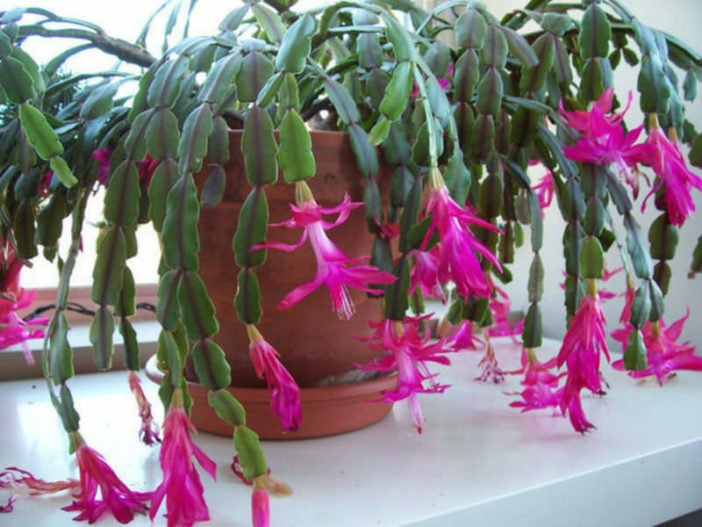 Schlumbergera x buckleyi have fleshy stems that are divided into flattened leaf-like segments with scalloped margins. They do not have spines and they do not have true leaves. The stems start out growing upwards, then droop down as they lengthen. Trumpet shaped flowers with narrow petals develop on the ends of the stems. 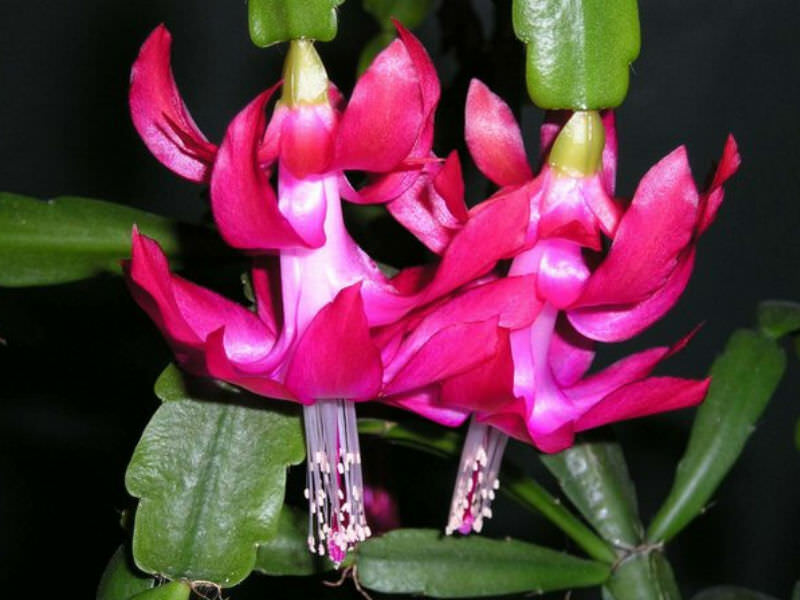 The bright flashy flowers are bilaterally symmetrical and up to 3 inches (7.5 cm) long. 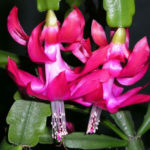 Extensive hybridization and selection have resulted in more than 200 named cultivars, differing mainly in flower color, which ranges from white through pink to fire engine red, and even peach, yellow and orange. 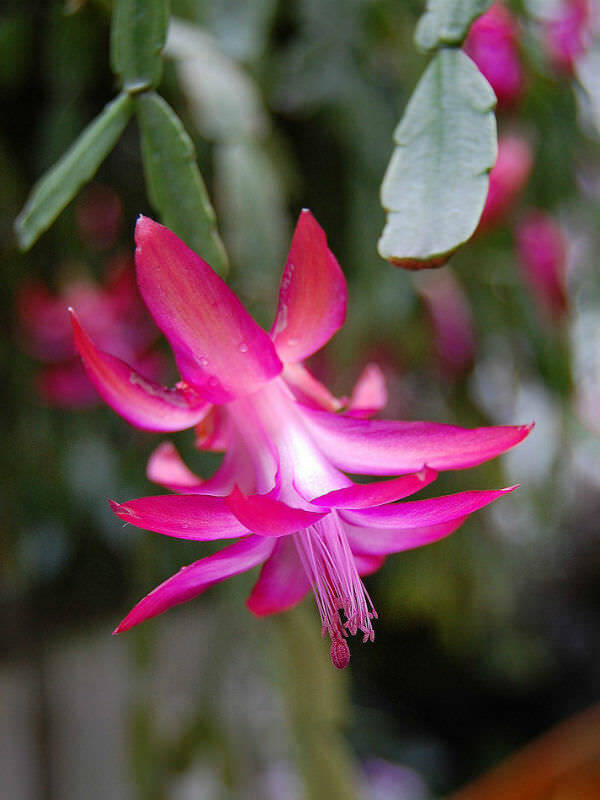 Most cultivars bloom around Christmas time, but some bloom earlier or later than Christmas. 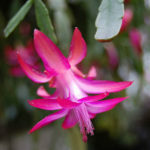 A hybrid of Schlumbergera truncata and Schlumbergera russelliana originally produced in the 1840s by William Buckley at the Rollisson Nurseries in England.